Is there a clear difference between Christian spirituality and New Age spirituality? Are you satisfied with your current level of spiritual understanding and wisdom? Has your spiritual walk become monotonous and boring? Have you reached a spiritual plateau? In Living the Spiritual Life, your hunger for the mysteries of the spiritual life will be ignited. This course will help you exponentially grow and propel you to seek an increase in the things of God. Discover how to maximize the help of Heaven and the interaction between Heaven and earth on your behalf. Learn the differences between true and pseudo spirituality. See Jesus in a whole new way; uncover the “cosmic shift.” Learn the differences between power and authority and how each interacts in your life. 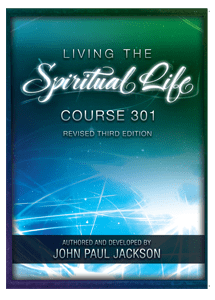 This course drives you beyond “head answers.” It will expand your spiritual perceptions, and challenge, awaken and give you hope for where you’ve never been—or been longing to be—in your walk with God. Why settle? Come and gain a passion for deeper spirituality! The difference between living a supernatural life and simply having a supernatural experience. The study and understanding of the three lights of creation. Developing habits and mindsets that allow for the assistance of heavenly agents. Interaction of humans and angels and a description of heavenly beings. The extent of God’s omniscience and deity and how to keep from limiting God’s actions in your life. Portals in the Bible and whether they exist today. The truth about the mysteries of the Kingdom of Heaven. What are demons and fallen angels? Identifying the multiple levels of darkness. An explanation of the power and spiritual authority of demons and Satan. The inter-dimensional relationship between heaven and earth for our good. 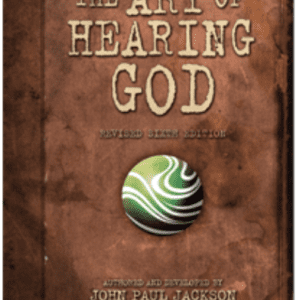 How to create space for the indwelling of the Holy Spirit. 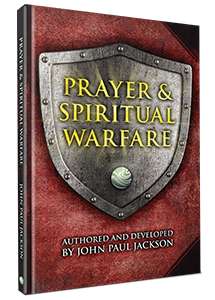 How does the “Mystery of Prayer” work? Why was the coming of the Kingdom important to Jesus? The Streams Ministries online courses are available for 12 months from the date of purchase. Please plan accordingly.